And the eccentrics? Several. Although I have posted a brief bio in Randolph's refrigerator post HERE and some of her recipes: Burnt Custard, Stuffed ham, Salmagundy dressing and other recipes; I thought a few odd tidbits about her family would give further insight into this American cookbook author's life, character... and her Spanish recipes. Her father Thomas Mann Randolph (1741-1793) was orphaned in 1746, and Peter Jefferson (1708-1757) became his guardian. He married Ann Cary Randolph (1745-1789) and had 13 children, Mary the eldest. 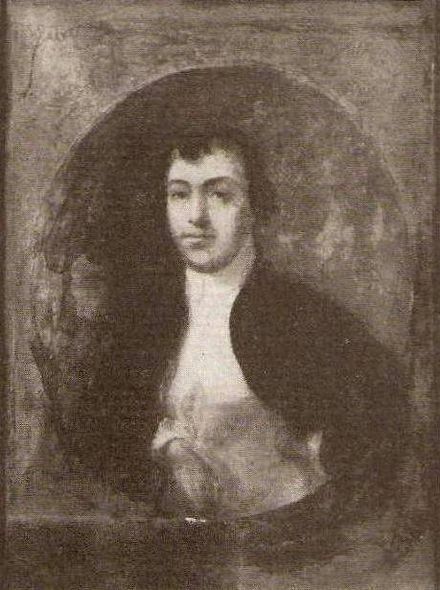 A year after Ann died, he married a teenager 1790 (Mary married in 1780) and they had a son in 1792, oddly named after himself (with his eldest, TMR Jr. still living), Thomas Mann Randolph III who inherited "Tuckahoe" plantation on the James River as a toddler on the death of his father. Thomas Jefferson (1743-1826) spent his early years at "Tuckahoe" with TMR Sr. when his parents Peter and Jane (Randolph) Jefferson moved in as guardians after the death of William Randolph, Jane's first cousin and Peter's good friend in 1746 until they returned to "Shadwell" in 1751. Elizabeth Randolph (1765- ) m Robert Pleasants, Jr. of "Curles" (or "Filmer") and had children. Thomas Mann Randolph, Jr. (1768-1828) married Thomas Jefferson's daughter Martha (1772-1836) and became Governor of Virginia. 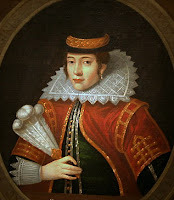 He was described by Edmund Bacon, Jefferson's overseer, as having the "Randolph complexion, which was dark...they claim to be descended from Pocahontas... he was tall, swarthy, and rawboned... The Randolphs were all strange people...full out as strange a man ...he was a very poor manager." Troubled with debt, alcohol and a temper - once he caned his grown son Jefferson Randolph - he was separated for a time from his wife. William Randolph (1770-1848) m Lucy Bolling Randolph and had several children at their home "Chellowe" (or "Chitower"); was financially troubled, as were most of his family. He attended school in Scotland with Thomas. Judith (Randolph) Randolph (1772-1816) m. Richard Randolph of "Bizarre" (1770-1796) He died at age 26 shortly after the 1793 infanticide trial (see Ann "Nancy") and freed his slaves in his will. She struggled financially, cared for relatives, including her sister Nancy for a decade after the adultery accusation and trial. Ann "Nancy" Randolph Morris (1774-1837) lived with her sister Judith and Richard at "Bizarre". Richard Randolph, accused of having an affair with Nancy then murdering their newborn in 1792, was represented by Patrick Henry and John Marshall (future Chief Justice of Supreme Court) and acquitted in the murder trial the next year. Nancy stayed in their home for over ten years, until Judith finally demanded she leave. She lived briefly with relatives and friends, went to New England and in April 1809 became the housekeeper, then on Christmas day married the wealthy 57 yr. old bachelor, Gouverneur Morris (1752-1816) of NY. They had one son. She admitted later in life to having a stillborn child in 1792, but claimed it was with Richard's brother (who died after long illness in Feb 1792). Jane Cary (Randolph) Randolph (1776-1832) m. Dr. Thomas Eston Randolph (1767-1842), forced to sell "Dungeness" and moved their family to Tallahassee, Florida. Their two sons were physicians. Dr. John Randolph (1779-1834) m. Judith Lewis (1808- ). He was "was one of the most eccentric men that ever lived, and I think Gov. Randolph was full out as strange a man as he..." wrote Edmund Bacon (the farm manager at Monticello). John never practiced medicine, instead he lived as an impoverished planter. Harriet Randolph Hackley (1783-1869) m. Richard Shippey Hackley (1770-1843), a successful merchant who was appointed in 1806 (for at least a decade) the US Consul at San Lucar, Spain then Cadiz, Spain, and in 1822 surveyor and inspector for the port of St. Augustine, FL. After he died Harriet had to take in boarders and operated schools. She probably sent her sister the Spanish food recipes in The Virginia Housewife (1824): Gaspacho, Ropa Veija, Ollo, Spanish Fritters and Spanish Method of Dressing Giblets. Virginia Randolph Cary (1786-1852) m. Wilson Jefferson Cary (1783-1823) of "Carysbrook" and Jefferson's great nephew, wrote Letters on Female Character addressed to a Young Lady, on the Death of her Mother, an advice book in 1828 and three later works and taught school since Cary died in debt. One daughter married her cousin Gouverneur Morris, Jr.
Mary (Randolph) Randolph (1762-1828) and David Meade Randolph (1760-1830) were married in 1780 and had 8-12 children (sources vary), four sons lived to adulthood. They moved from the Richmond boarding house she managed to Washington DC, some sources say moved in with son, William Beverly Randolph and his family. Mary probably helped to care for their youngest son Burwell and William's young children, since her tombstone reads: "died... a victim to maternal love and duty." Richard Randolph (1782-1859) m Elizabeth McGibbon. Corporal in Richmond Troop of Horse during War of 1812. no children. 1850 census he was living with William in DC, buried at Richmond. David Meade Randolph (1784-1825 Norfolk, VA) baptized in Newport, RI where his parents vacationed; he was a Captain in War of 1812 and received a pension. Burwell Starke Randolph (1800-1854 Fla) a midshipman on the frigate USF Constellation during the War of 1812, (another source said he entered 1815, pensioned out 1817) permanently injured his legs and applied for a disability pension. clerk in Navy Commissioner's office (1822); lived with William in DC in the 1850 census (probably earlier, since his accident). Bacon, Edmund in The Private Life of Thomas Jefferson by Hamilton W. Pierson (1862). Pension. Rev War David Meade Randolph Sr.